COLOR THE WORLD AS YOU SEE IT! 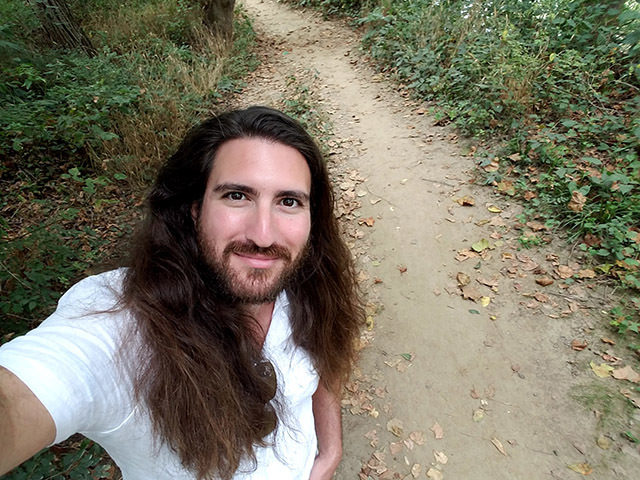 Traveling is good for you and good for the world! 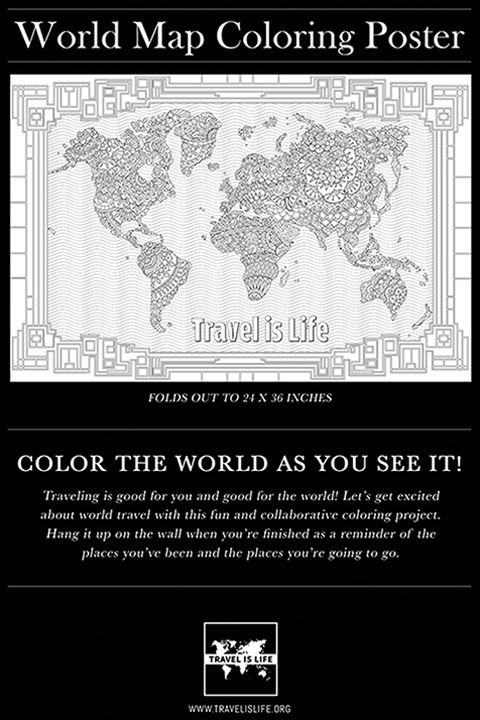 Let’s get excited about world travel with this fun and collaborative coloring project. Hang it up on the wall when you’re finished as a reminder of the places you’ve been and the places you’re going to go. 1. Unfold your map and lay it out on a flat surface for a couple of days. This will help flatten out the creases. 2. Color it however you’d like with markers, crayons, or colored pencils. You can even use paint! Be sure to put something underneath the map while you color in case the marker or paint bleeds through. 3. Hang it on the wall and enjoy your creation! It’s a perfect daily reminder to inspire you to travel. Hi Travelers! 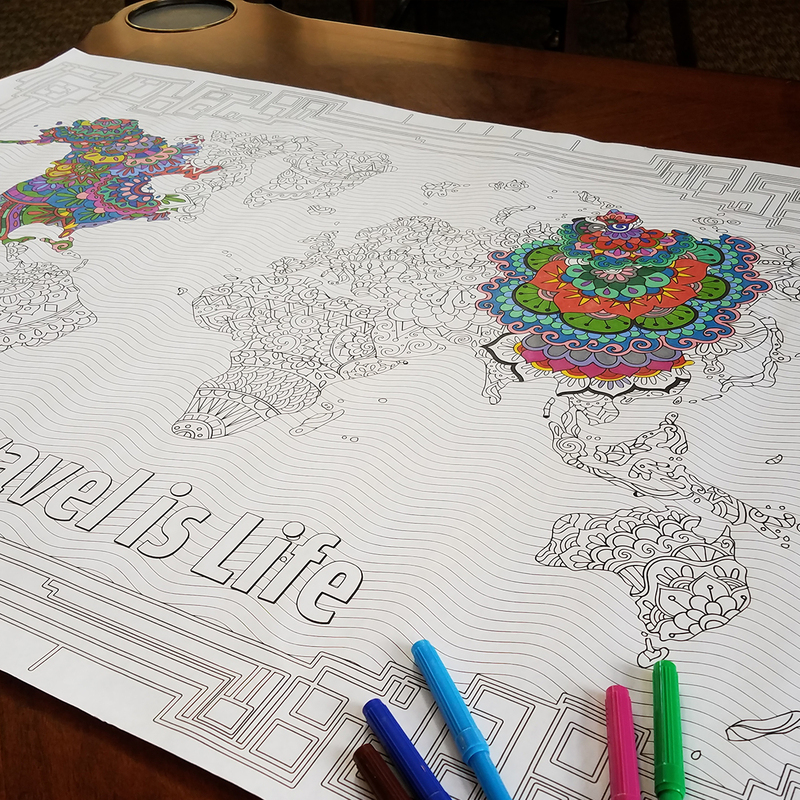 I’m Paul Drecksler, creator of the World Map Coloring Poster and founder of TravelisLife.org. 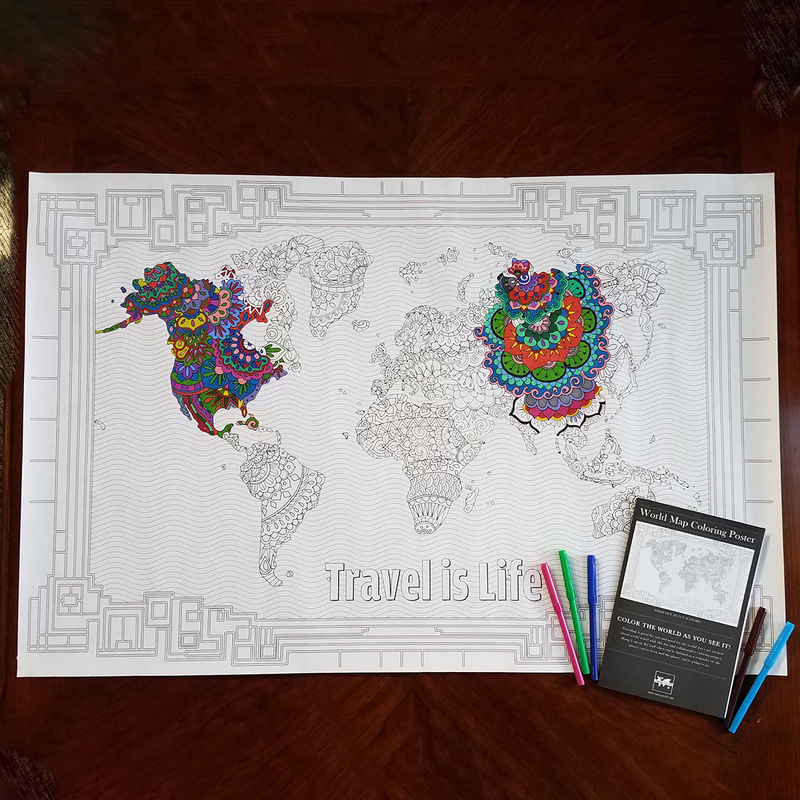 My mission was to create a gift that got people excited about world travel. I also wanted to make something that families could spend time doing together and away from a screen. Coloring this poster is relaxing, therapeutic, and creatively inspiring. It’s the perfect mix of challenge and fun. I hope that it inspires hours of conversation about traveling the world. 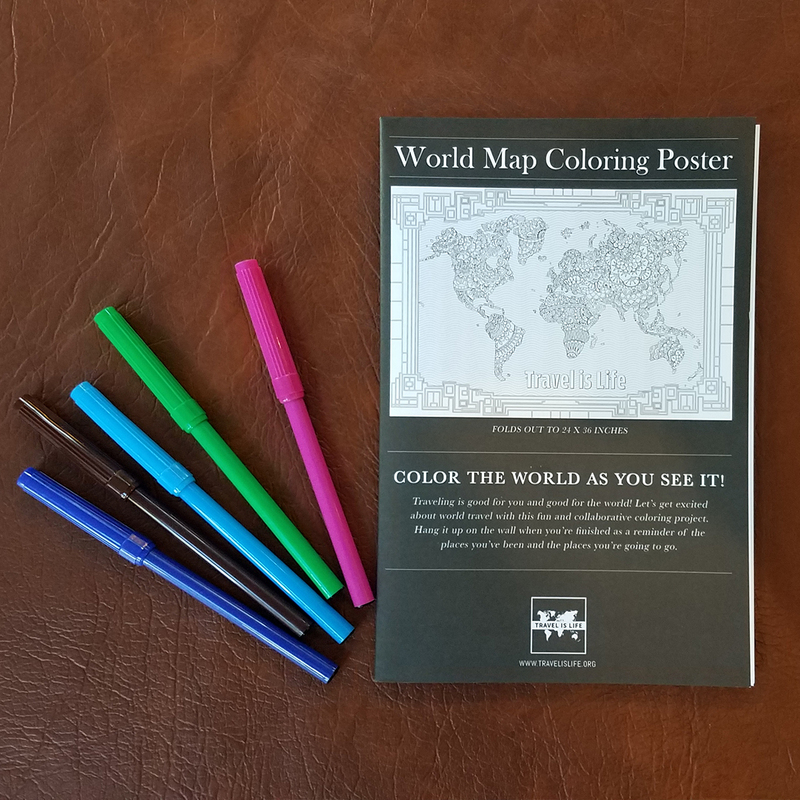 I’d love to see how you color your world. 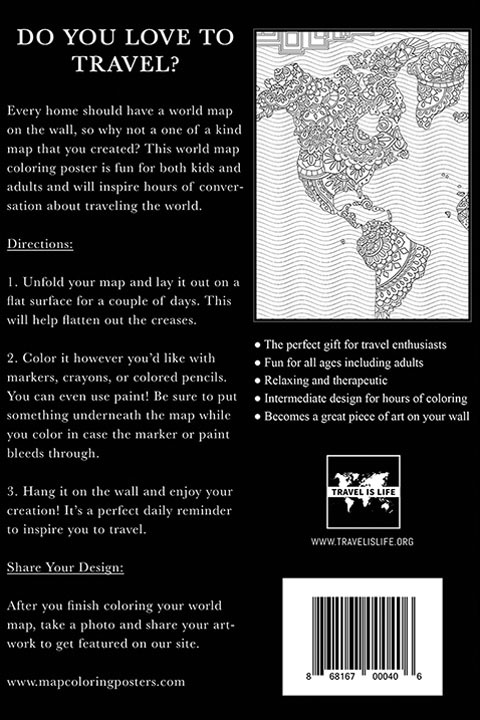 Take a photo when you finish coloring your map and send it to paul@travelislife.org and I’ll feature you on my site. Thanks for being here, wherever you are in the world. This is where you'll receive your receipt of purchase. Your purchase is safe & secure on our site via SSL encryption and we will never share your info. 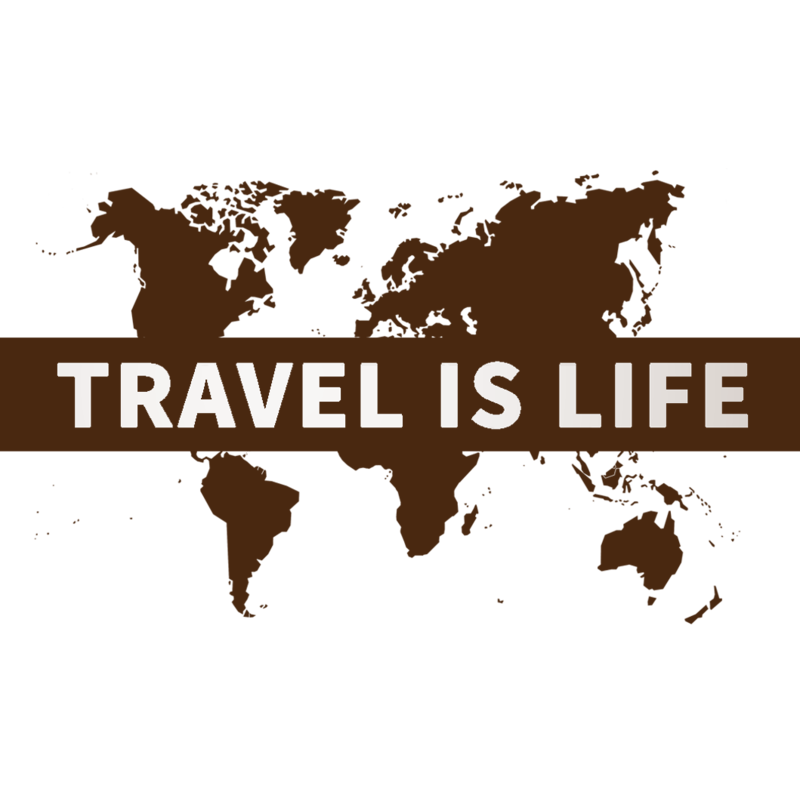 A portion of all sales is donated to help afford high school and college students the opportunity to study abroad. Learn more about the Travel is Life Study Abroad Scholarship.